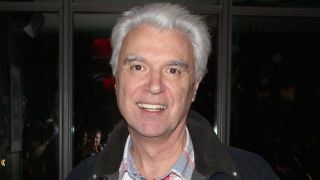 Former Talking Heads frontman David Byrne has written a musical, he’s confirmed. He previously worked with Norman Cook, aka Fat Boy Slim, on the concept album and stage production Here Lies Love about Imelda Marcos, the former First Lady of the Philippines – and he reveals the process inspired him to create another show. Byrne reports the project is written and he’s now in talks with producers to bring the show to London in 2016, and adds: “It’s about another woman, whose life is in the historical record. Byrne is curating this year’s Meltdown festival at London’s Southbank Centre between August 17-28.